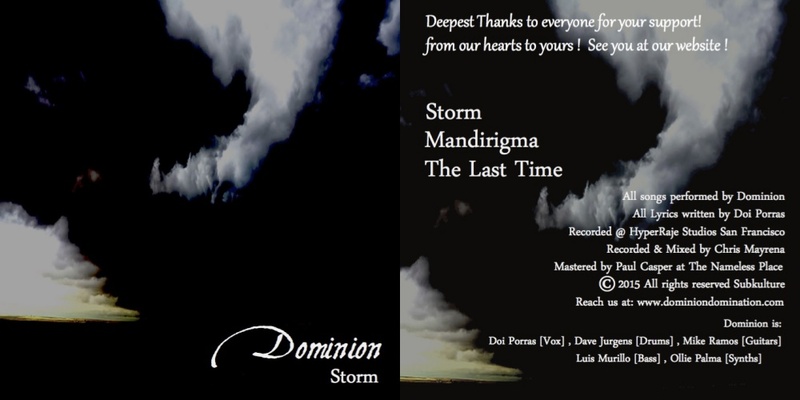 Storm EP by Dominion: A taster of what’s to come. Only a week before Halloween and I have here a copy of Storm by Dominion. The 3-song EP rocks until the end and leaves a great impression of what’s to come from this band musically. 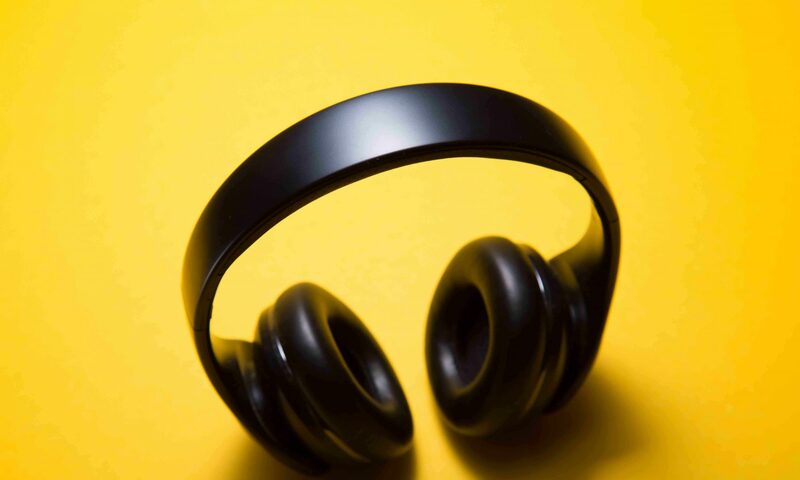 Their music has all the elements that genre aficionados are looking for. And on top of that there is this live energy that’s very unique with the band. Storm is embellished with dark melodies and haunting keyboards courtesy of Ollie Palma. Lead vocalist Doi Porras reminds me of the unholy matrimony between Robert Smith of The Cure and Wayne Hussey of The Mission. The drums, bass and guitars are aggressive but sophisticated. Yes that’s Goth beauty for you-along with the term haunting. Two years later, here comes the EP containing three songs. Usually, other bands could not wait to release a full-length album but they are taking a less impulsive route. For whatever reasons I will find out when I get to do an interview with the band soon. The EP starts with the title track. This goes straight into the guts as I already heard this two years ago. I know the three-note keyboard line of Ollie Palma in the midst of the portentous guitar sound. And then there’s that beat and powerful vocals. Mandirigma follows which is interesting because it is in Tagalog. The native language of Doi Porras. I love the keyboards because they remind me of those used by bands like Tiamat and The Mission. From the death rock snarl to an almost operatic highs, Doi Porras proves that he has the pipes that can give their UK counterparts a run of their money. The Last Time closes the EP with that familiar guitar sound characteristic of the genre. This song will spoil Goth fans. And though Storm is short, This recording shows us what Dominion is capable of achieving in years to come. It is also worth to mention that I love the work of bassist Luis Murillo and drummer Dave Jurgens in this recording. As Halloween is drawing near, I recommend Storm to all music enthusiasts out there who would like to support Filipino talents abroad. This is a perfect taster of what’s to come from this LA based band.